From the author of Daughters of Fortune comes a sweeping family drama that follows a mother and daughter through the poverty of post-WWII Ireland and London an into the glamour f 1950s Hollywood and beyond,, revealing the ways in which family ties can never be broken. 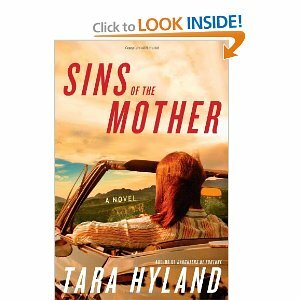 Tara Hyland is belovedby readers for her exquisite talent at waving family sagas that journey through the rocky roads of secrets, lies, and betrayals, only o show that no challenge, no matter how difficult, can ever truly sever the bonds of love. This novel opens in 1946, when Franny Healey is a beautiful and spirited teenager living in the poverty of County Cork, Ireland. Franny wants nothing more than to escape to the excitement of London. But when she discovers she is pregnant, her boyfriend abandons her. Undeterred, Franny flees to the city, where she finds work as a nightclub performer. She shines onstage and is soon propelled into a life she only dreamed of, filled with Hollywood stars, glamorous parties, furs and fashion, plus a new husband – who must never know of the daughter she left behind in County Cork with her mother. When Franny Healey becomes an unwed mother she sees her dreams of becoming an actress slipping away. She decides to leave her baby with her mother and go to Hollywood to chase that dream and find a way to provide a living for her. Somewhere along the line Franny becomes a famous actress and marries. She tells no one she has a child in Europe. Cara grows up under the care of her grandmother. When her grandmother dies Cara is placed in an orphanage. The story carries us through Cara’s life with all the twists and turns we learn about along the way. This is a story of selfless love, redemption, and forgiveness. This was a satisfying read and one that went quickly. Anyone who loves the quirky, romantic , dysfunctional family, type mystery will enjoy this book.